Board-level | Solutions ｜ Sumitomo Electric Industries, Ltd.
For 400G and beyond, an innovative new fiber optic interconnection will be required for on-board and board to board interconnects. 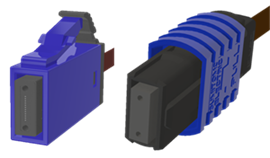 Sumitomo Electric has designed and manufactured interconnect products for more than 40 years, we are vertically integrated from ferrule to fiber to connector. We can solve your challenges for higher fiber optic interconnect density. FlexAirConnecT™ series are dust insensitive and cleaned only by Air-blowing. 8x ganged FlexAirConnecT™ requires only 4kg. 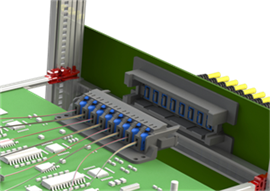 FlexAirConnecT™ performance comparable to MPO connectors. FlexAirConnecT™ series also offers MPO compatible solutions. Our Fiber Shuffle provides preset, high-density and flexible optical cabling.